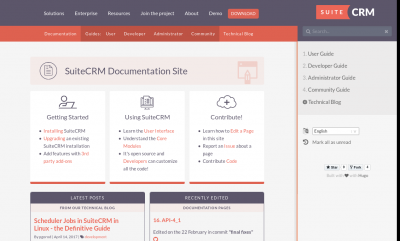 Just days after the SuiteCRM 7.10 release we’re excited to announce another improvement: a completely new documentation site for SuiteCRM! The new documentation site has five main areas, each one targeted at a different group. It will allow you to easily find the information you need. 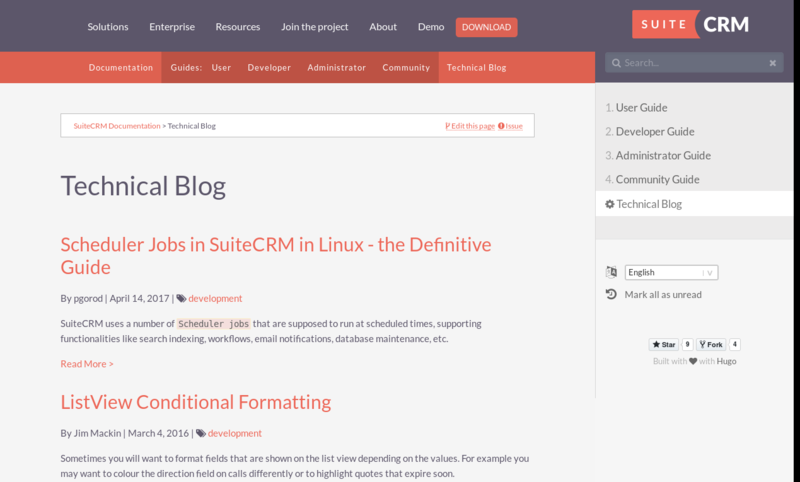 Perfect for SuiteCRM end-users, as it shows how to use SuiteCRM to for your day-to-day job. Learn how to effectively use the CRM core modules to manage your customers and opportunities, do marketing campaigns and take care of customer service, and learn how you can use advanced modules for custom reporting, workflow creation and more. 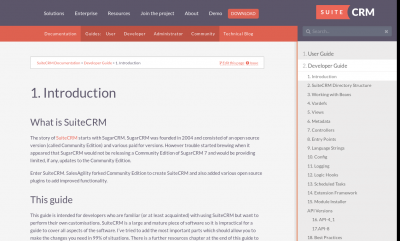 If you are already familiar with SuiteCRM, and want to dive in to customisations, this guide is the best place to start. Are you the systems administrator? 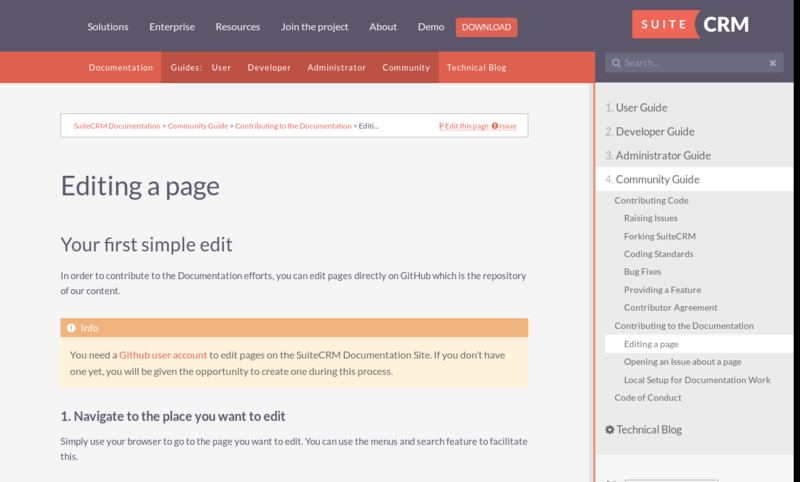 Learn how to install SuiteCRM, and how to keep it up to date in the Administrator guide. 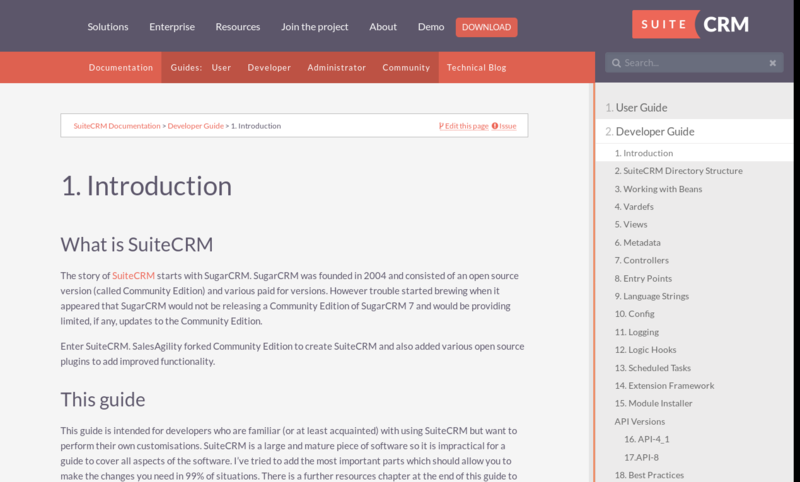 Help grow the open source project SuiteCRM and learn how you can contribute code or documentation. 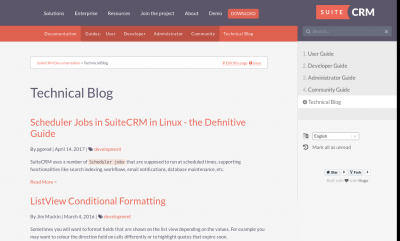 Tips and how-tos from various SuiteCRM Blogs out there. The new documentation site uses exciting technologies to make cooperation easier. From the simplest edits to large documentation translation projects, the tools are in place to make things happen. It uses the static-site technology based on Hugo engine, boosts a Asciidoc-based markup, great for human readability and extensibility, and non-technical users can propose edits in just three clicks. For readers there are also some very interesting features. You can now see what pages you’ve visited before, and use the advanced search to easily find the information you need. You don’t need coding experience to participate in the project and contribute to the documentation. 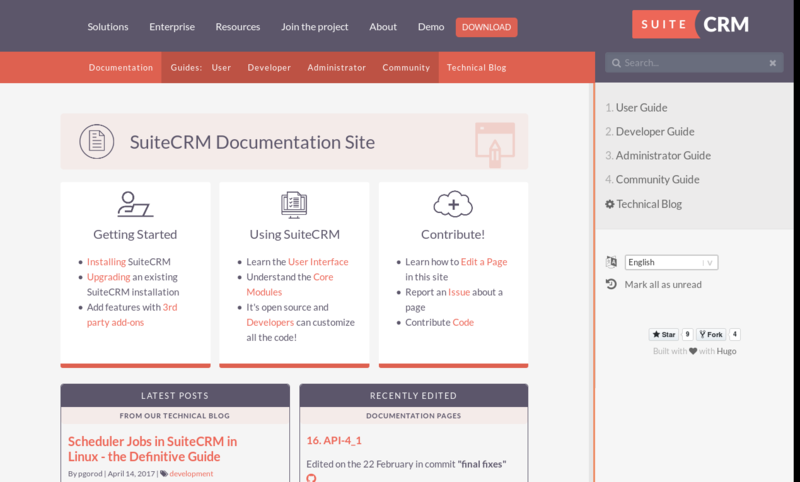 By sharing knowledge, and adding content and translating the guides, you can help SuiteCRM grow to become world’s most used and loved CRM! For more details on how to contribute, check out the documentation.